You are here: Home / Blog / Denver Nonprofits / Judi’s House: Door’s Open! A truly Colorado organization, former Broncos quarterback Brian Griese was inspired to found Judi’s House, named after his mother Judi who passed away from breast cancer when Brian was only 12 years old. Most of us remember our first loss. But most of us were a bit older the first time we experienced it. As a child, grief is incredibly more overwhelming. When you are a child, getting older can seem like the hardest thing you’ll ever have to go through. And, for most of us, that is about the toughest challenge you’d be expected to face, overcoming the trials of maturity, and that’s with the support and guidance of your family. But what if the unthinkable happens and in the midst of growing up, a child loses a loved one? How does a child overcome that loss and cope with the grieving process? Judi’s House was founded on the principle of providing answers to those questions and to ensure that no child be left alone in their grief. And since 2002, they have supported more than 9,000 youth and their caregivers in these most difficult times. Judi’s House is the only free-standing group devoted solely for the purpose of providing research based support for children who suffered the loss of a loved one. Judi’s House exists because the unimaginable sadness of losing a parent or sibling that affects 1 in 18 children in this country annually. 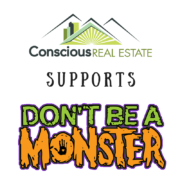 However, Conscious Real Estate stands ready to help raise funds though the joy of buying or selling a home in the greater Denver area to build a community for these families. Judi’s House has one mission. To help grieving children and their families. And, it is provided free of charge. 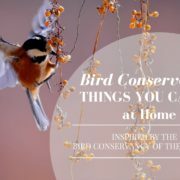 This is incredible and relies on the support of partners like us here at Conscious Real Estate, and of course all of their supporters in Denver and nationwide (hopefully globally too). Behavioral health specialists help through the grief process and encourage coping skills through their tremendous loss. 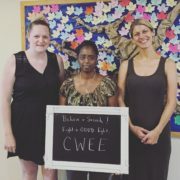 They believe that by investing in children and their families, they will assure that no child is alone in grief and that they can learn skills to heal and become happy adults despite their heartbreaking loss. And, providing their services at a cost that supports the financial cost of loss (free services), their services are accessible to all. Though, programming is dependent on generous donations. 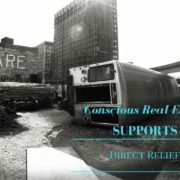 At Conscious Real Estate, we know that large, lump sum donations go farther than small ones. So, we’ve instituted a program of regular giving into our conscious real estate agency. 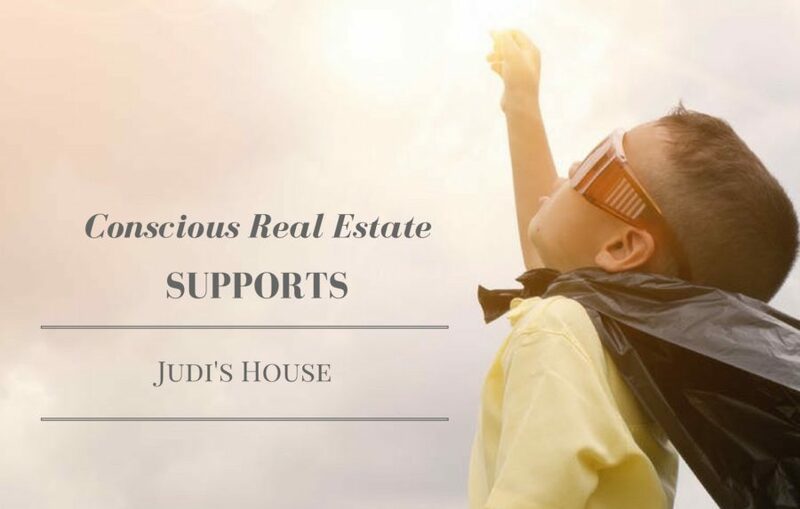 Read on..
Judi’s House is the only organization in Denver to support this cause and we’re happy to be supporters too, thanks to the kind recommendation of our clients who chose the organization as their nonprofit of choice for our 10% donation program. Their choice came from a very personal experience. Amanda Vanek is the type of teacher every parent wishes their child to learn from. 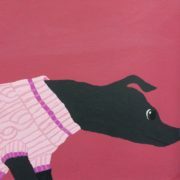 She is equal parts charismatic and compassionate, both the instructor of and role model for her classes. When one of her students needed the help that only Judi’s House can provide, she learned of the vital mission provided to bereaved youth. 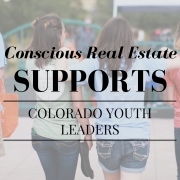 When she and her husband Adam chose to make their home in Centennial, the purchase offered them the opportunity to utilize the Conscious Real Estate donation initiative to support an organization that had been so important to one of her students. Thank you Amanda and Adam for your kindness, generosity and support! https://theconsciousgroup.com/wp-content/uploads/2018/01/judis-house.jpg 1050 1650 Allison Parks https://theconsciousgroup.com/wp-content/uploads/2016/08/logo.png Allison Parks2018-01-20 01:30:072018-01-20 01:38:33Judi's House: Door's Open!